Maya Songbird: Happy Black History Month! Well Everyday is a special day to remember our ancestors fight for our rights to have equality in this world. But as we are currently in the shortest month of all the months that they have branded us to have Black history month celebration..well then Let the festivities of Black Power commence! As we continue to make strives towards making much more history for generations to come! I am excited to tell you about this Saturday where you can check out the opening of a brand new Black business in Berkeley. A nice Jewelry/Accessory store by the name of Ankara Style! 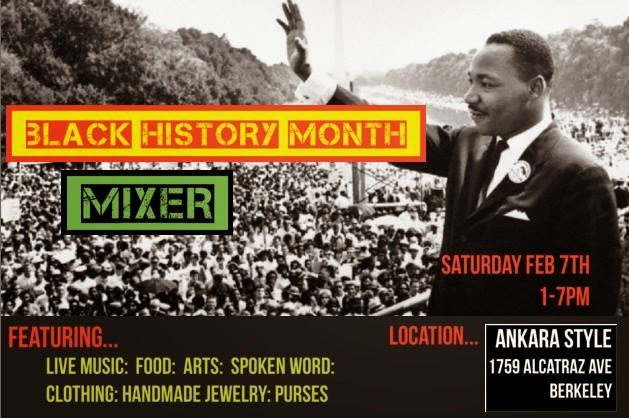 They will be opening their doors to celebrate Black History Month with an awesome Mixer that shouldn't be missed hosted by Kadesh Carter, Owner of Sankofa Vine. Ok last but not least! 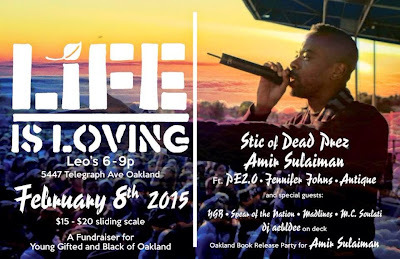 I had to share this awesome fundraiser to send a group of Oakland Mclyemonds High School students to Africa! How cool is that experience for our youth! Please contribute! They have 29 more days! Check out this awesome Website curated by Khaya Wig and support these youth! 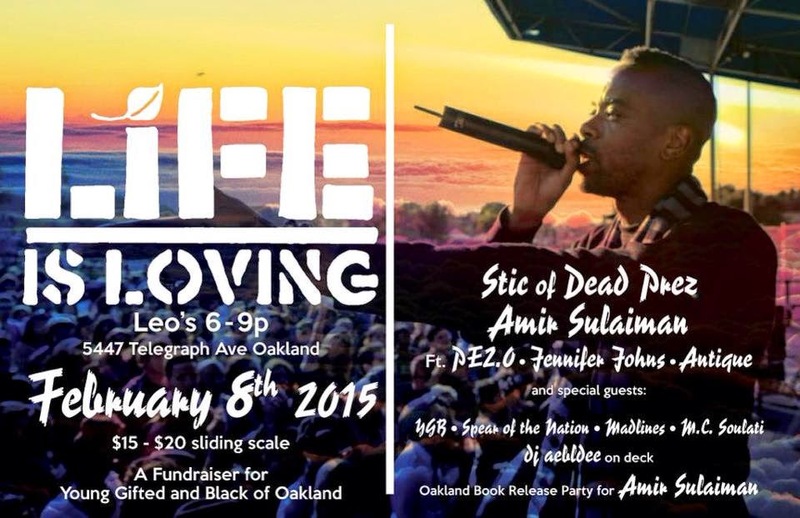 Peace and Black Life Positivity!